Dear Students, admit card for BSPHC JE(Junior Engineer) 2018-2019 examination has been released. Exam is scheduled to be conducted on 29, 30 and 31st january 2019. 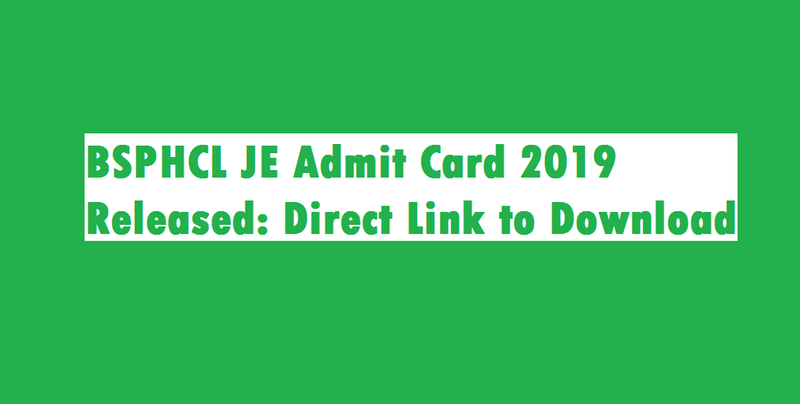 Application Number and Date of Birth are required to download BSPHCL JE Admit Card 2019.